. Published on 18/11/2018 . We love Iris especially Dwarf Iris (Iris Reticulata) and now is the perfect time to plant them ready for a Spring explosion of Iris colour. 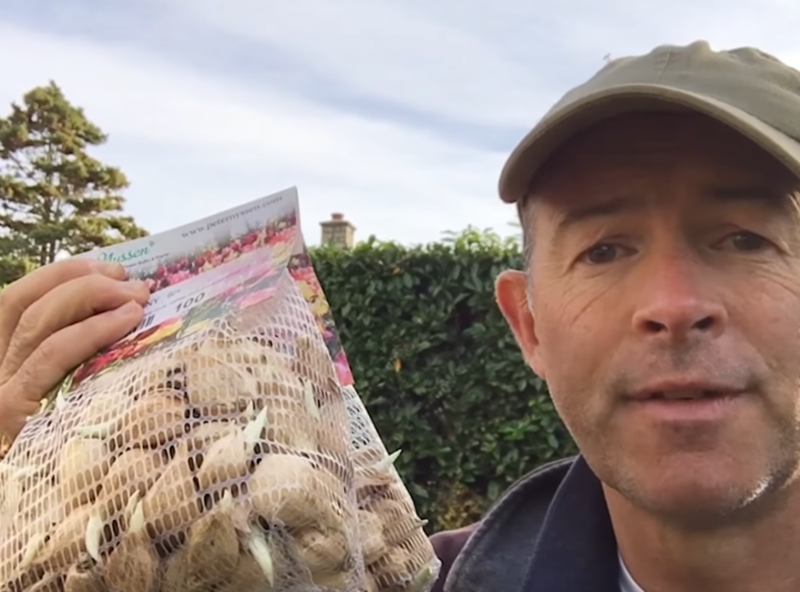 In this instalment of our weekly ‘How To Garden’ videos Michael Palmer AKA @mikethegardener shows us how to plant these little spring stunners. There’s a nice tip from @mikethegardener to up the intensity of Iris colour by planting them in clumps. Michael is planting over 200 Dwarf Iris in the rockery. If you don’t want to go that far you can always plant them up in containers which would make a great addition to a patio or deck. If you want to find out more about how to garden make sure you download the GardenTags app and look up the #howto series. And don’t forget there are 60,000+ passionate gardeners on GardenTags who are all gardening together and helping one another out. Go to the Apple App Store or Google Play now.